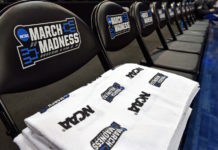 The Colorado Buffaloes are still relatively new to the PAC-12 conference and haven’t gotten off to the start in the conference as they’d like, specifically against one team – the UCLA Bruins. The Buffs and the Bruins have played seven times since Colorado joined the conference in 2011 — and the Bruins have won six of those games. Friday evening is a showdown between the in-conference teams and Colorado is trying to prove that they’re for real. Here are my three keys to a Colorado victory. UCLA has started off the year at 0-3 and is one of only four FBS teams that haven’t gotten a win on the new season. It’s their worst start since 1971, with losses to Cincinnati, Oklahoma and Fresno State, two of which aren’t thought of as football powerhouses. They have been slow to get things going on offense and haven’t been clicking in what was thought to be a high-powered offense. Colorado, on the other hand, has been humming on the defensive side of the ball. The Buffaloes have produced seven turnovers in only three games after having 14 total last season. Even better is the fact that the Buffs are turning those turnovers into points. In three games, the Buffs have also recorded 10 sacks on the opposing quarterback; last year they finished with 18, so there has been progression on the defensive side of things. Nate Landman has been a constant force for the Buffaloes’ defense and has a pair of interceptions on the season. He also has a PAC-12 defensive player of the week honor and has been the Buffs’ most consistent defensive contributor. If he has himself yet another big game then Colorado should win. When you hear about the Chip Kelly offense, you think of explosive, big-time plays and plenty of points due to the high pace — because that’s what it has been throughout his whole career. This year? Not so much. He has a new offense, and it is headed by true freshman Dorian Thompson-Robinson at quarterback. Thompson-Robinson had to take over when Michigan graduate transfer Wilton Speight suffered an injury in the game opener. The young quarterback has had an up-and-down start to his college career. He threw for 256 yards and a TD against the Sooners but took a step back against the Bulldogs’ defense, throwing for only 151 yards anda pair of interceptions. What’s been happening with the program for the week could be just as entertaining than the game itself. Chip Kelly and Thompson-Robinson’s father made headlines as the latter publicly called out Kelly and blamed him for the teams 0-3 start. There is a possibility that Speight returns from his injury, but for now it’s the Thomson-Robinson show. UCLA hasn’t been able to get much going on the ground, either. 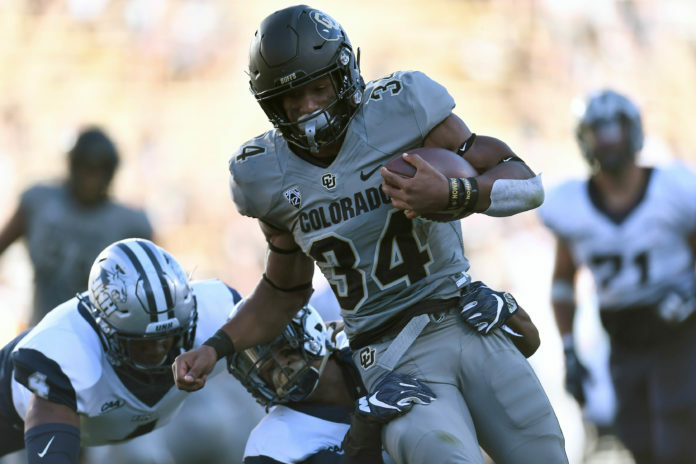 Running back Kazmeir Allen only has 161 yards on the season, and without the ability to run the ball, Colorado will be able to stack the box and play the receivers close — which doesn’t bode well for the Bruins. Expect the Bruins to try and win the time-of-possession battle; they don’t have the firepower to attack the Buffs for the entire game, so it will be interesting for the Kelly-led offense to try and get things moving with a different approach. Getting to the QB early and often is the key for Colorado. Taking a look at all of the things that are going well for Colorado leads back to one guy – Steven Montez. Montez has got off on the right foot and has shown that he is one of the elite quarterbacks in college football. He is running a fast-paced offense that is different than the teams of seasons past as far as pace and purpose. They’re averaging 494 yards and 41 points a game. Montez has 866 yards on the season with eight touchdowns and only two interceptions. He is also completing 73 percent of his passes; the best in the PAC-12 as of right now. Montez typically airs it out to multiple receivers, but he has found a main target that he trusts in: Laviska Shenault, Jr. 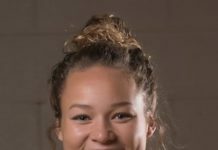 The sophomore receiver has caught 26 passes for 455 yards and has scored four touchdowns in only three weeks. He is producing at a high level, and the nation is starting to take notice; he was recently added to the watch list of the Biletnikoff Award. If he continues this dominance, he might even be a dark-horse Heisman trophy contender.